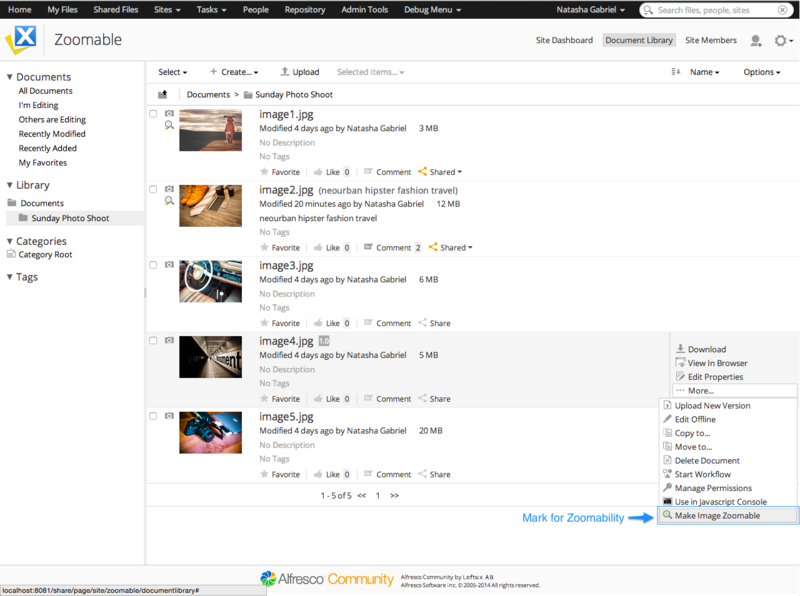 Alfresco is unarguably one of the worlds best solutions to store images and digital content. In fact, some of the museums, scientific institutions, archiving institutions, e-commerce websites and photographers including many of the Loftux customers use Alfresco day to day in their work to store and classify digital images and content. Most of the digital assets stored in Alfresco are natively previewable. 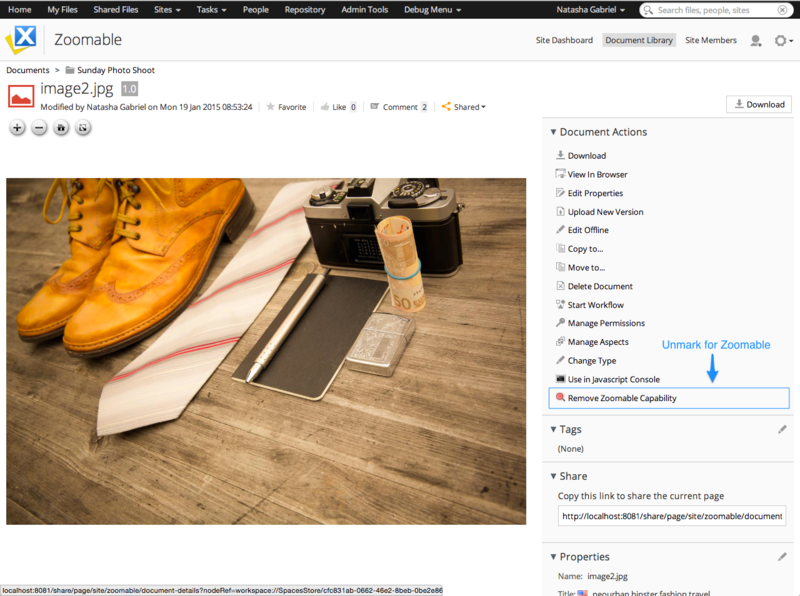 When Alfresco generates a preview, digital content is converted to an image and then scaled down using ImageMagick and other image-processing and scaling tools to fit the viewport and thumbnail sizes. The above method works most of the time. Users are generally happy with scaled down previews for large digital images. However, this has several drawbacks. If a user wants to preview the digital image in its original resolution, (s)he would have to download the original image and use an external image viewing tool to view the image. This involves too many steps and does not seem well suited for many situations. Let’s have a look at some of them. - Large images usually can take a long time to download. - A low quality preview served can contribute to a low quality user experience. - Original copies of high resolution images are generally not shared by content owners as its nearly impossible to enforce permissions once its downloaded. - Some of the high-resolution image viewers require large amount of system resources. - Users dislike installing a separate previewer or a browser plugin for previewing an image. - Even though a user would like to share a high-resolution image in a public website/external preview link, external users would need to download the original to preview in native resolution. - Low quality previews never do justice to amazing content stored inside. Today we would like to announce that we have a solution for all of these problems. We built a previewer and an image transforming component for Alfresco that uses the OpenSeadragon technology from Microsoft Research to let users and external users view high-resolution images within the browser. 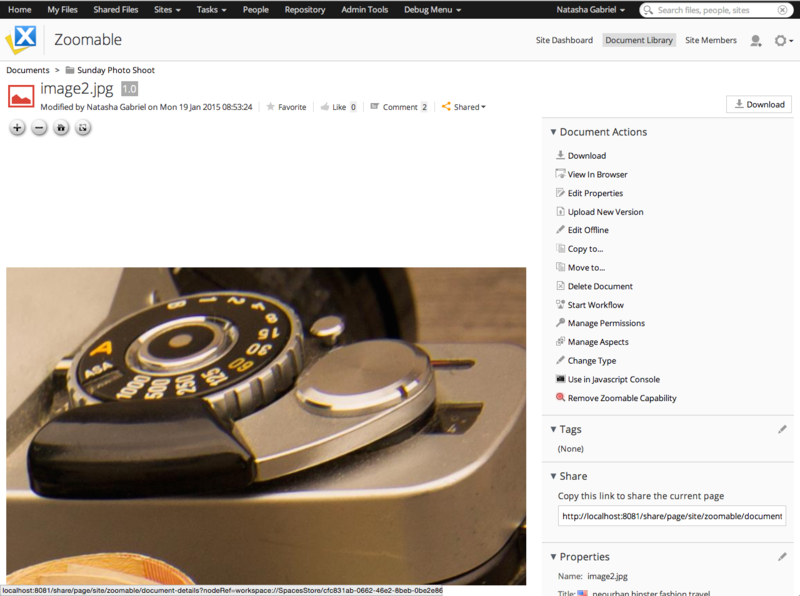 Our solution lets users mark and unmark high-resolution images as Zoomable. When a user marks the image as Zoomable, the high-resolution image is broken down into small tiles in the background. Neither the processing nor tiles are visible to the users. Once the transformation is completed in the background, users see a Zoomable image within the browser that renders faster than any other image preview. They are able to pan and zoom the original image without experiencing any lag. The previewer also lets them view the image in fullscreen to experience an image in all its glory. The functionality is also available to external users who are using standard Alfresco quick sharing functionality. The previewer can be embedded in third party web applications including public websites as well. We call our solution Zoomable for Alfresco and it’s available for purchase starting today. 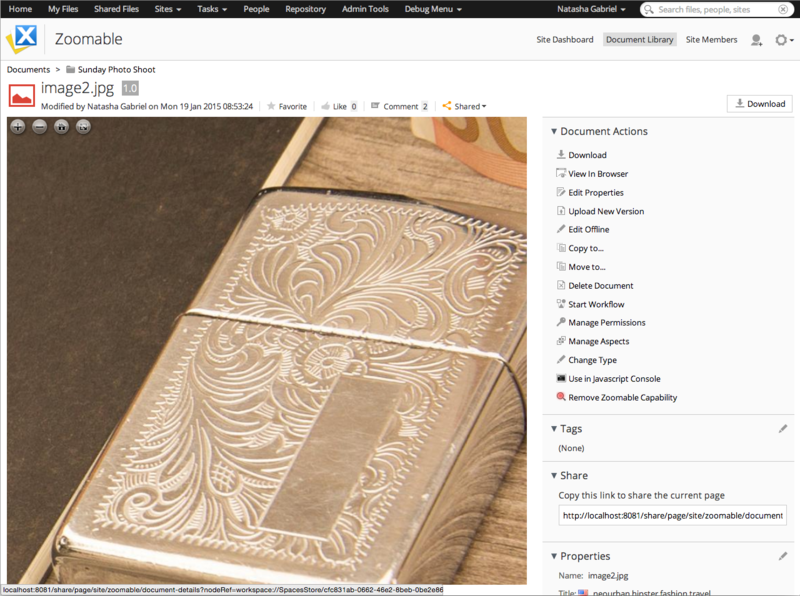 Checkout the following links to see the Zoomable viewer in action. Size in pixels are within brackets. The above images are only used for demonstration purposes only. Copyrights held by respective parties. The solution is available to customers of both Enterprise and Community editions of Alfresco. Pricing for the complete solution including transformation and previewer component starts at 1,999 EUR/year. To purchase this for your Alfresco installation or if you’re an Alfresco solutions provider who is looking to provide an amazing image viewing experience to your customers, please contact Peter at Loftux AB via peter@loftux.se. You can also use the contact form on the website or tweet at us @LoftuxAB. Some screenshots of the previewer in action.